Indian bride and the Bridal dress will look totally incomplete without proper Jewelry. Bridal jewelry Is a very integral part of the bride’s personality. The trends in bridal jewelry sets and wedding jewelry keep on changing over a period of time. It spans across various styles and themes. Many necklaces, bracelets, bridal hair jewelry and earrings are specially designed in order to complement the gorgeous lehengas and saris. The wedding theme as well as the bride’s attire is greatly enhanced by the jewelry. Indians are always renowned for their excellent taste in jewelry. Elegant jewelry with a gorgeous sari makes an excellent combination. In most of the Indian weddings, the bride appears to wear yellow jewelry. Some Indian brides tend to choose jewelry like platinum, white diamond, or gold jewelry etc. Jewelry is an integral part of Indian weddings. As every other country, India too has its own trends in bridal jewelry. There are a wide variety of options available in the market when it comes to bridal jewelry. For a bride, a heavy neckpiece is a must have. It should be at the center. The latest trends in necklaces are that of long necklaces which can reach till the blouse. 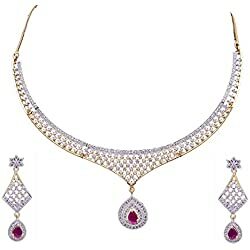 The options available in these kinds of necklaces are diamonds and gold. This combination looks absolutely stunning. Rubies and emerald are also in fashion and have the same charming appeal. Another accessory which is in fashion is that of a waist band. When it is combined with traditional attire, it looks chic. It is known as kamarbandh too. The trend of waistbands had reduced some years back, but the demand for it has again risen recently and is in vogue. Another jewelry which is spotted very easily is the nose ring. Some nose rings come with side chains and are very much popular amongst celebrities during their weddings. There is currently a trend of light and sleek bangles. They look very descent, elegant and classy. One can even choose bangles which are wide with precious stones studded on it. Most common precious stones include diamonds and emaralds. Many bangles should not be worn together as the overall look can be spoilt because of that. 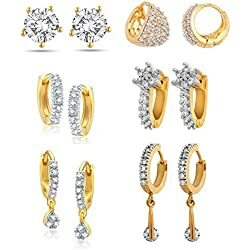 Talking about ear rings, care should be taken while choosing them and it should be seen that they are in accordance with the bangles and necklaces. Danglers and tops look stunning. Diamonds and pearls always remain in demand and will never go out of fashion. Cassandra, Anita and Desiree are the most popular names in the jewelry market. Among the precious stones jade, amethyst, pearl, ruby , emerald and garnet continue to dominate the jewelry market. Although there are lots of modifications in bridal jewelry, the common piece remains steady. Some Indian brides prefer customized jewelry and approach the jewelry designers for the current trends and patterns. Beautiful designs and colors are very important in giving the jewelry a charming appeal. One can also find a number of sites on the internet for the latest and current trends in jewelry. 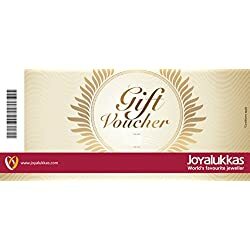 Image Courtesy: Google/Pinterest. ShaadiMagic holds no copyright for Images. The post Trends in bridal jewelry appeared first on Shaadi Magic - Indian Wedding Planner.